This week’s newsletter turns attention to efforts in Washington to advance transportation and the Ports-to-Plains Corridor. First off, we are fortunate for the strong support we receive from our Ports-to-Plains Congressional Caucus. The caucus is bi-partisan, and was established to ensure a voice for rural communities in America's Heartland and to educate other members of congress on the importance of our region in feeding, fueling, and clothing America and the world. In this newsletter we feature news about the caucus and one of its co-chairs, Rep. Jodey Arrington (R-TX). There has also been quite a bit of discussion about a major federal investment in infrastructure. While investing in infrastructure is overwhelmingly popular, the biggest obstacle has been how to pay for it. The Trump administration recently floated the idea of increasing the federal motor fuel tax for the first time since 1993. I am glad that my pay has increased over the last 24 years, because my expenses certainly have gone up. And highway construction inflation has increased at a higher rate than the consumer price index. Hopefully this will lead to a long overdue discussion on how we want to pay to build and maintain our nation’s bridges and highways instead of simply kicking the can down the road. The White House may back the first hike in the federal gasoline tax in decades in order to pay for President Trump’s $1 trillion infrastructure package. 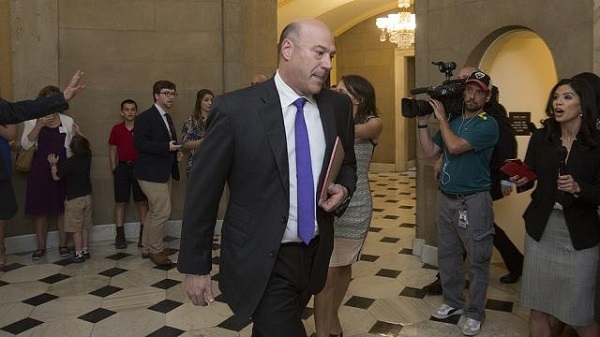 Trump’s economic adviser Gary Cohn told moderate House lawmakers at a private meeting on Wednesday that they'll get a chance to vote on a gas tax hike early next year as part of an infrastructure bill, according to two lawmakers who were present. The discussion over the fuel tax during the meeting was first reported by Politico Playbook. "Cohn seemed receptive to it," one meeting participant told The Hill. Trump signaled some openness to raising the federal gas tax earlier this year, telling Bloomberg News that it’s something he would “certainly consider.” But the idea, a politically fraught issue that lawmakers have avoided for years, quickly ran into fierce opposition from GOP lawmakers and influential conservatives. However, as the White House scrambles to score a legislative victory on Capitol Hill, the administration may be eager to identify potential funding options for its long-stalled infrastructure plan. The Senate’s No. 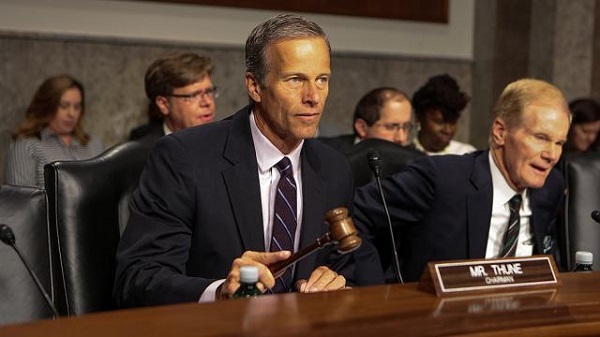 3 Republican left the door open on Tuesday to raising the federal gasoline tax to pay for infrastructure improvements — an idea currently being considered by the White House, but one that has repeatedly run into a buzz saw of opposition on Capitol Hill. “We have members who are open to all ideas about how to pay for [infrastructure],” he added. White House officials told a group of moderate House lawmakers last week that they are considering a gas tax hike to help offset President Trump’s infrastructure proposal. An industry source told The Hill that the administration is eyeing a 7-cent increase, though it’s unclear if the proposal would be included in the initial infrastructure legislation or if the administration will push to have it added at the committee level. It would be the first hike in the federal gasoline tax in over 20 years. The Highway Trust Fund, which provides money for road construction and other transportation projects across the country, is financed by a federal fuel tax of 18.4 cents per gallon of gasoline and 24.4 cents per gallon of diesel fuel. A bipartisan Congressional Ports-to-Plains Caucus has been formed, and inducted as a Congressional Member Organization for the 115th Congress. 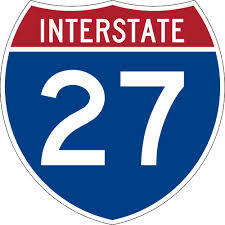 This Caucus will serve as an informal group of Members dedicated to issues related to rural transportation and rural economic development in America’s Heartland, with a focus on the corridor running from Texas to North Dakota and Montana, and educating other Members on the importance of this area is feeding, fueling, and clothing America’s cities and urban areas. “Middle America provides the food, fuel, and fiber that strengthens and protects our nation, but that’s only true when we can get the product to market. The Ports-to-Plains corridor is strategically located to facilitate billions of dollars in trade, create jobs, and increase economic efficiency by connecting rural areas to urban America, regional trade centers, and international transportation facilities. “I’m honored to share the significance of this corridor and its needs by co-chairing the newly created Congressional Ports-to-Plains Caucus, alongside my House Co-Chairs, Representatives Smith, Gonzalez and Cuellar, and our counterparts in the Senate, Senators Heitkamp and Fischer." 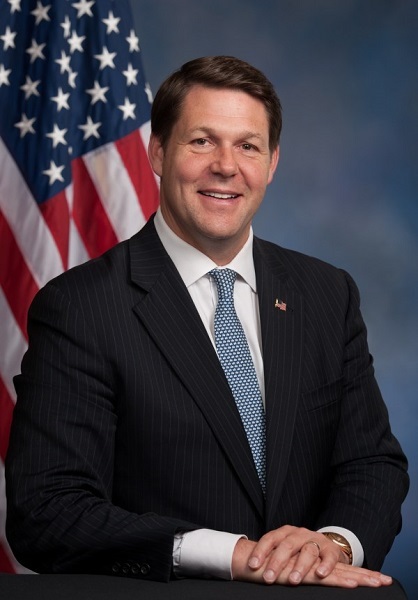 Congressman Jodey Arrington is a member of the U.S. House of Representatives serving the Nineteenth Congressional District of Texas. 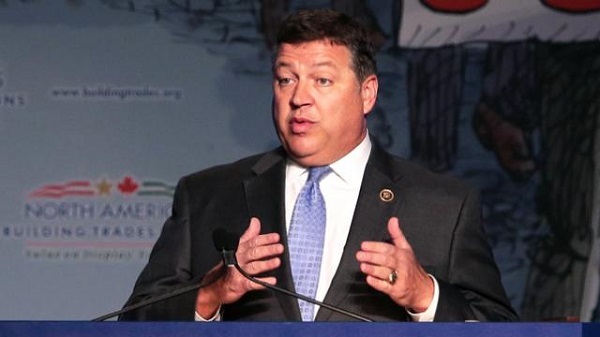 He serves as a member of the House Agriculture Committee, House Budget Committee, and Chairman of the House Veterans’ Affairs Subcommittee on Economic Opportunity. “The state must focus not only on improving existing facilities, but also on developing future freight corridors to move products to markets and exports".